There has been upswing in new third party controllers for the PlayStation 4 and the Xbox One. Most of them have been of the elite/professional variety that try to bring some new tricks to the table such as additional paddles, buttons or programmed in functionality. 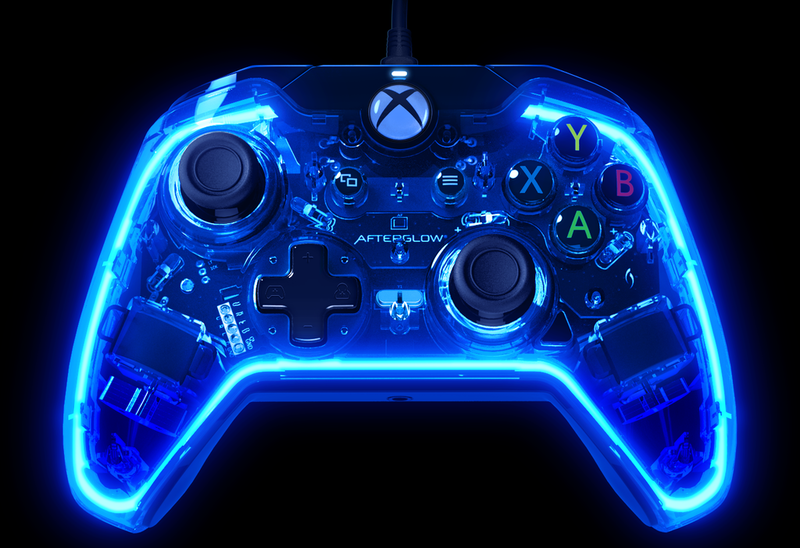 The PDP Afterglow Prismatic Wired Controller for the Xbox One takes things in a different direction, aiming to be a slightly less expensive option while providing some flashiness along the way. What really surprised me was some of the additional functionality you would normally find on these higher end professional controllers. Related reading: All of our PDP gadget reviews. 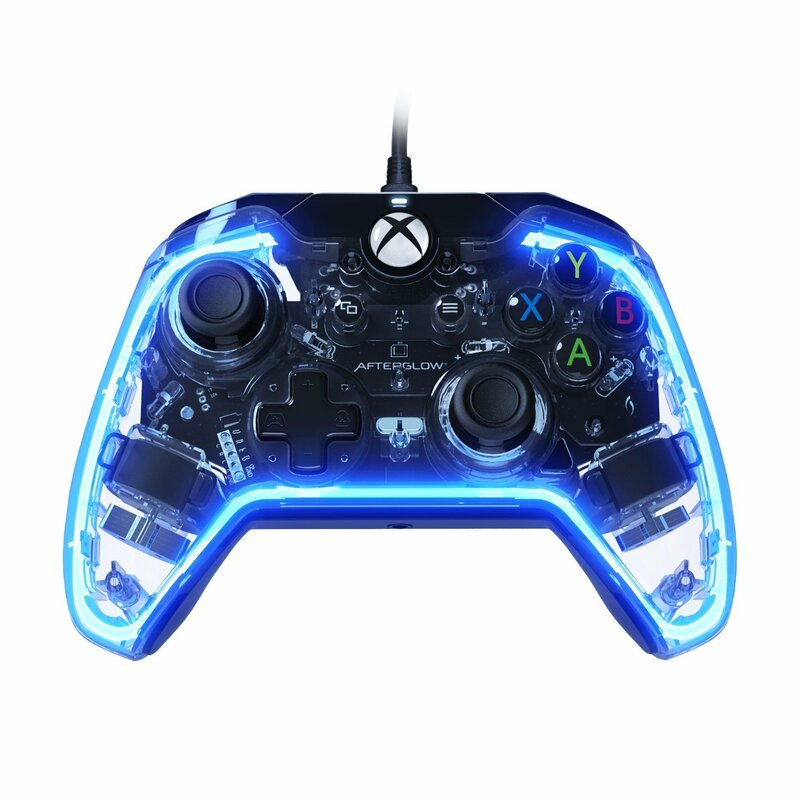 That flashiness is in the literal sense, as probably the most notable feature to this controller is the option to have it glow a myriad of colours. The housing is clear, giving you a look at the insides of the controller itself. 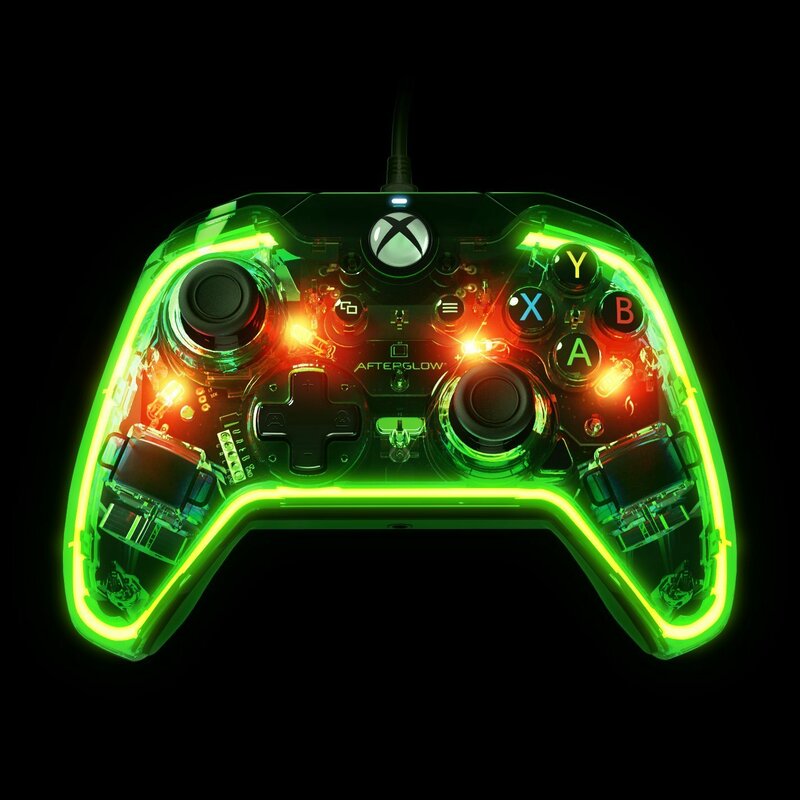 You can pick a singular colour, rotate through the entire rainbow or just turn them off completely if you find the lights distracting (though as this is arguably one of the main selling points for this controller, that would be a strange course of action). Now I have had a chance to use a number of different PDP controllers over the last few years, but they have always been of singular colour. If nothing else, I really liked the option to change those on here as this feature feels new to the series (though it has existed in their prismatic headsets previously). There is also an option called Red Action-Pulse that causes the controller to light up in response to rumble events, which is pretty cool. Instead of just having the controller move when you are being shot in a game, you have this effect that kicks in. However, if this was just a visual upgrade, I would have a hard time recommending it. After all, this is a wired controller (making it perfect for use on my PC actually, where I do use it as my primary controller now), and not a wireless one. This could be seen as a step back for those who are used to wireless Xbox One controllers. The cable is ten feet long, so it has some good reach, but there are a couple of other enhancements on the controller that make this a rather unique purchase. You can in fact program in up to six actions to the multi-function wheels on the back of the controller. This, as well as the colour functionality, is tied to a small button on the back of the controller. These wheels give you movement options (I would say most useful in a shooter where you are sniping - I found that a nice, smooth aiming experience that lends itself to a well-timed shot and less so to frantic aiming in more intense situations) and also serve as programmable, depressible buttons. Mapping these was actually pretty easy and useful. Because this is a newer generation controller, it supports the 3.5mm audio jack that most new Xbox One headsets are leveraging (including our recently reviewed Afterglow Level 5 Plus). One other unique feature is the button near the right analogue stick that is mapped to sound control. You can double tap it to mute your headset, and also holding it down and using the direction pad will control the volumes of microphone and audio. It is a very cool little shortcut that lets you change the sound controls on the fly without having to go into any settings in the system itself. As for the controller design itself, the buttons are all quite responsive and the sticks are durable ALPS designed. They too were really responsive and having used them in other controllers in the past, I have found them to be quite sturdy even when used by someone who might get a little... overly aggressive if they play and lose at a game. We all know a few people like that, don't we? The PDP Afterglow Prismatic Wired Controller has really sturdy build design complimented by a very flashy aesthetic. I could appreciate the former and liked that I had control over the latter. However, for a third party controller at a nice low price point, the additional features such as the mappable wheels on the back and the volume control on the front right were nice differentiators you do not usually see. That it is wired is likely going to be a deal breaker for some people however, depending on their setup. If you are looking for a good wired PC controller however, this one works really well on that front also. It might not have all of the features of the Elite or other professional controllers, but it rings in at a fraction of the price and still delivers a high end experience.